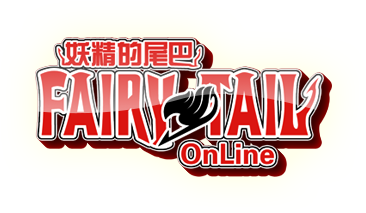 Fairy Tail Online, is a forum role-playing board based on the popular Anime "Fairy Tail". With various options given to players, players can actually enjoy and roleplay with their fellow friends in a guild. The point system here allows you to gain cool and unique magics. You can build your own character and join a guild as you do missions to become that number one mage. Our systems won't make you realize that this is just another forum, that is going down. Our WRP (World Role-play ARCs) are rather defined by the players. They do not take place on their own, unless a group of players attempt it and continue their journey. This makes it easier for players to have fun while the staff isn't really forced to work for new ideas every single time. FTO provides players with a unique role-play story. This story does not contain any of the canon guilds which is usually today's part of rp forum regarding fairy tail. The blazing red and bonds will bring new guilds that will have their own custom names and will shine in the light of brilliance. FTO's main objective is to provide something other rp forums cannot; that is realism. There is no fairy tail, there is no sabertooth, there is no lamia scale...there's only one thing; YOU! The systems in FTO will definitely provide you amazing feats we have in FTO, the structure of the website overall will be satisfying if not the best. We expect you to at least take a look! You won't regret it.